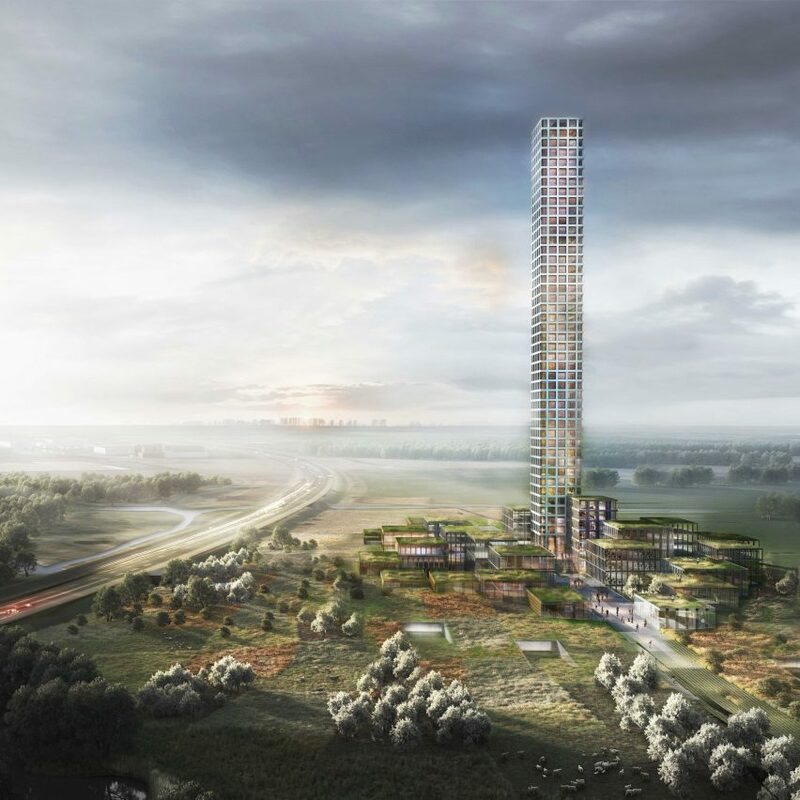 At 320-metres-high the Bestseller Tower, designed by Danish firm Dorte Mandrup Arkitekter for the small town of Brande in Denmark, will be the tallest in western Europe. Bestseller Tower will be taller than the Shard, the 307.5-metre-high tower designed by Italian architect Renzo Piano in London, UK. However it won’t beat eastern Europe’s tallest building, the 462-metre RMJM-designed Lakhta Centre in St Petersburg, Russia. The skyscraper will hold a hotel, conference space, shops and offices as part of of a “village” complex of buildings that will cluster around its base. “The plan is born out of a passion and interest for architecture and a vision of creating a unique building that matches the unique setup of a rethought headquarters,” said Anders Krogh, project manager at Bestseller. As well as its record-breaking height, Bestseller said their aim is to make the skyscraper “climate positive” as part of Bestseller’s sustainability drive. “This year, we unveiled plans for a 125 MW solar power plant to cover the entire global energy consumption for our owned and operated buildings, so it’s only natural that we look for sustainable solutions for the project in Brande as well,” said Krogh. The post Dorte Mandrup wins approval for tallest tower in western Europe appeared first on Dezeen.